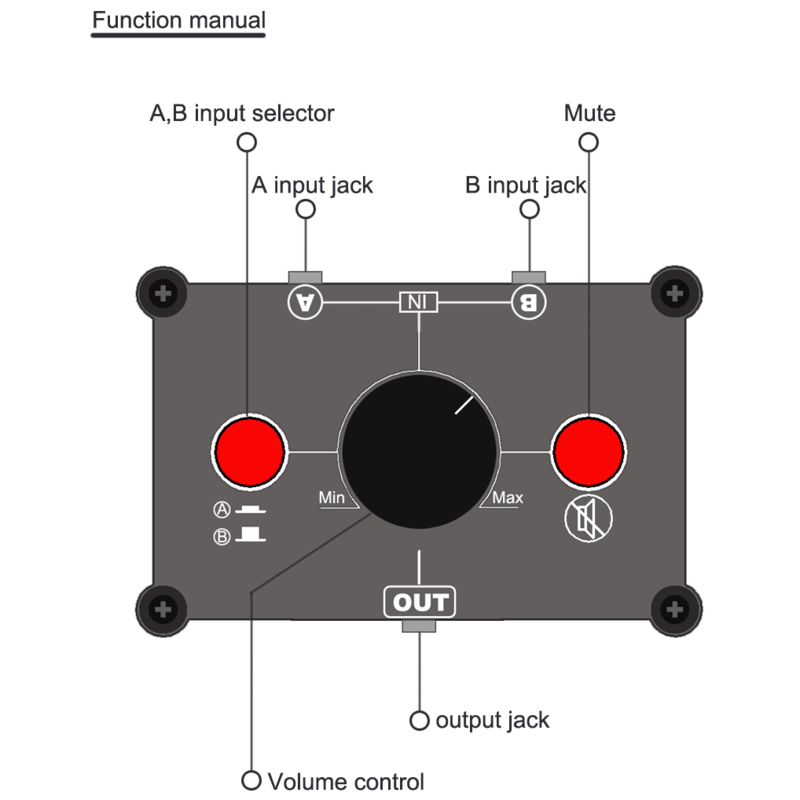 MC102 is a 2-IN-1-OUT / 1-IN-2-OUT audio selector designed for customers have several audio sources and outputs. You can use two audio sources as inputs connected with A/B port, and use one audio output connected with IN/OUT port. MC102 is a 2-IN-1-OUT / 1-IN-2-OUT audio selector designed for customers have several audio sources and outputs. You can use two audio sources like computer, phone, music player as inputs connected with A/B port, and use one audio output like active speakers, headphones connected with IN/OUT port. Besides, you can also use one audio source connected with IN/OUT port and two audio outputs connected with A/B port. Passive device, Simple and do not have to worry about sound effect, pure DIY manual welding. What's more, it's A/B selector makes it easier to select devices you want to use and compare their sound performance. Input (3.5mm) connections: Computer / Phone / Music player. etc. Output (3.5mm) connections: Active speaker / Headphone / Amplifier. etc.